Sahib Aquaponics Zero Lot Hybrid Aquaponics System was recently highlighted as being “A Good Fit For Small Spaces”. This was an article in Cornell University Small Farm Program Newsletter – the Urban Gardening section. 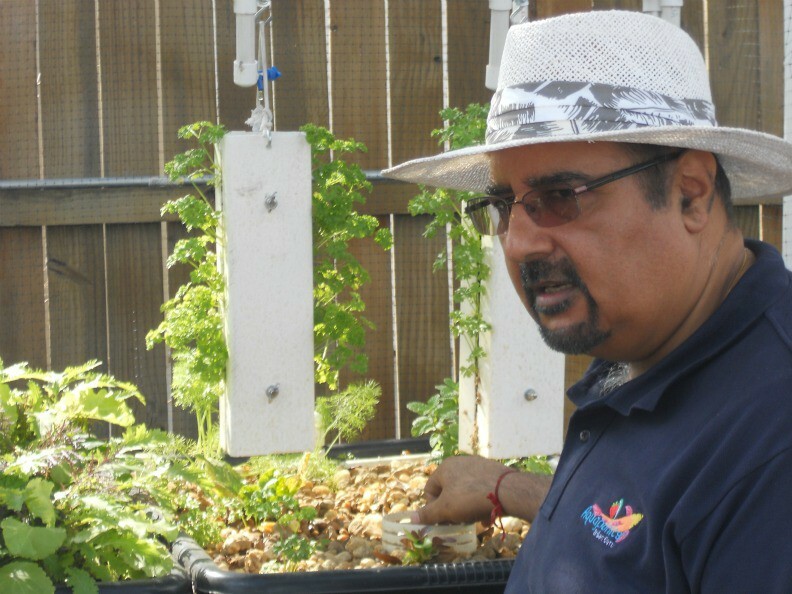 In suburban Orlando, Florida, farmer Sahib Punjabi has developed several models of miniature re-circulating farms to fit in small, underused spaces, such as storage rooms and patios. In only 18 square feet, Punjabi’s “Zero Lot” Backyard Aquaponic System combines a variety of plant beds with a 55-gallon fish tank. SAHIB AQUAPONICS is providing training workshops for community members and students around the U.S., interested in learning innovative methods and market-based solutions using urban agriculture and Aquaponics. 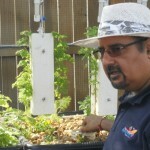 Sahib will share with you the endless possibilities of how to grow your own food locally and naturally without the use of harmful pesticides and chemical fertilizers by using these Aquaponics hybrid urban growing systems.These Aquaponics hybrid urban growing systems can be scaled to size and can be replicated. They can be modified to be operated off grid as well as expanded as the need arises. 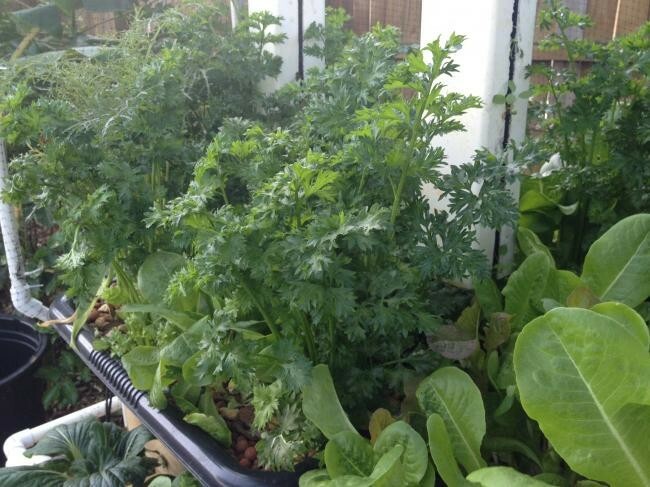 Such systems can be used to have fresh food at home, work or anywhere they are set up. They are excellent tools to use as teaching aids so that we can empower the future generation with the knowledge to grow their own food locally by natural means. Sahib’s Aquaponics hybrid urban growing systems can be the basis of feeding the family, the community as well as provide income to the urban farmer. Sahib will also share how such systems can be used in urban retail economy, both by food establishments as well as food/produce retail outlets to enable the consumer to purchase food that has been grown locally and by natural means. Food that is “live” (a new twist on the label “Fresh”), and the type recommended by most medical and health professionals as what we should be eating. These Aquaponics Workshops by Aquaponics Urban Gurus are an excellent place to learn Aquaponics and be empowered to build Aquaponics systems to grow organic food for their family without using harmful pesticides or chemical fertilizers, discover the potential to create another income source as well share such knowledge with many more to help provide sustainable solutions to the world hunger epidemic. Sahib believes that such training should be affordable so as to enable all sectors of the society to educate and empower themselves in this wonderful way of growing organic food. He also believes in smaller class sizes (not to exceed 20 participants), so that the Workshop training can be personalized as much as possible. By being a participant in such Aquaponics workshops, you will really learn and be empowered to grow your own food locally and naturally.